When it comes to food safety and ethical sourcing of ingredients, words are not enough to win the trust of people. A far better way to convince people is to show them videos that are shot in food production facilities and farms. Wouldn’t it be great if you could take a virtual walk-through tour of such facilities with virtual reality applications, taking a closer look at each phase of the manufacturing process and each piece of equipment that is being used? This advanced step has already been taken by the Tequila manufacturer Patron. A 360-degree video has been launched by the company that shows how the tequila is manufactured – from harvesting the plant to bottling the drink. Great, isn’t it? 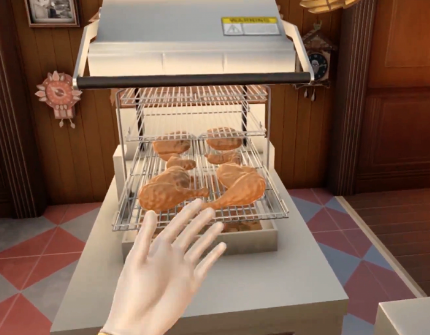 With 360-degree movies, virtual reality is going to change the way you try new recipes. A recipe of Banoffee is available, which is presented in a 3D model. This enables you to manipulate its different ingredients as well as layers and lets you assemble the dish in a relaxed and safe environment. 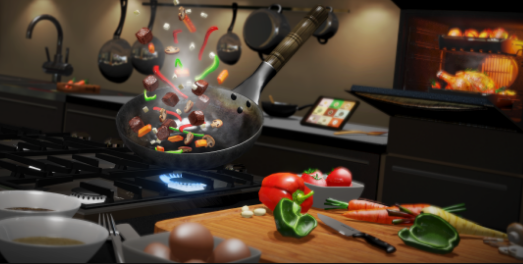 With VR cooking, more and more people will learn to cook their favourite dishes at home. They won’t need to waste valuable ingredients and still try making dishes as many times as they need to. Are you a foodie and end up overeating every time you see your favourite dish? Well, according to a study, AR can be really helpful in estimating adequate portion of food. 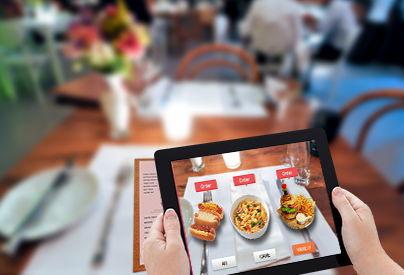 With augmented reality apps such as ServAR, you can choose the right food servings and make sure that your plate is not piled up with too much food. Sounds good? Currently, this app is not available for the general public, as it is in the experimental stage. So keep patience! The AR and VR technology can be used for thorough and consistent employee training in the food industry. At present, the process of developing training materials is expensive and varies in quality by store, team or region. There may be times when human resources face the dilemma of choosing between high-cost, high-touch and high-efficiency and low-touch. This is where virtual reality appears as a blessing. It can create a detailed visual world for employees where they can safely interact with their to-be everyday job surroundings and learn the tasks that they need to perform. AR, on the other hand, layers additional information on top of an employee’s direct view and allows for side-by-side training and execution. VR and AR are transforming the way how the food industry operates. There are endless opportunities and possibilities of innovation in this field. Do you want to push the boundaries with VR and AR mobile applications development? It’s high time to do so. Contact us and see how we can help!